After a long time I am uploading something related to this blog. Actually I have started working in field condition and focusing on treatment rather than experimenting on animals. I have found one special case which I think I should share with you. Please see the below mentioned link form YouTube. 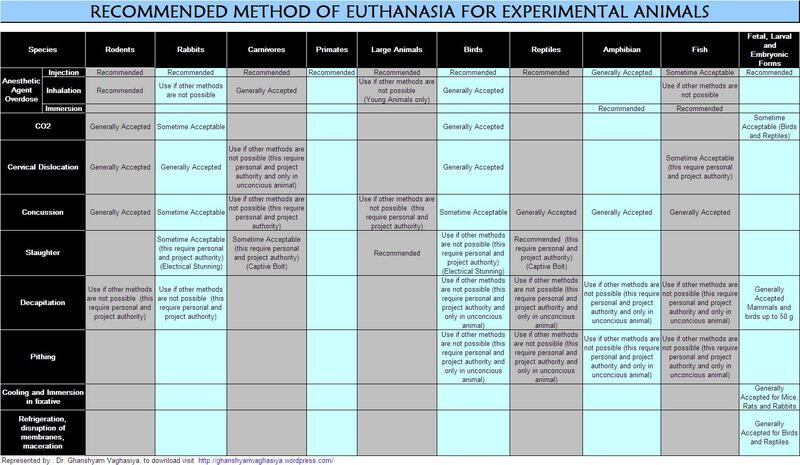 I have compiled list of euthanasia methods for experimental purpose and for day to day use for my dear friends who are in field and serving dumb creatures. One simpler but very useful tool. Animal house veterinarian has to take quick decisions on how many female animals to keep for mating to get exact animals for future projects. Click on it download it. I have categorized and listed few common things which is very essential to maintain health of the laboratory animals. Color coded material for easy understanding and ready reference. In context to my previous post for Dried Blood Spot, I received few mails to prepare and elaborate the same in power-point presentation. I have prepared one ppt. Click it to download it. Sometime we need to know primary results from kinetics data (drug plasma concentration) without using tricky software . Here is the solution for it. This excel based software will help you to calculate Mean, CV%, Cmax, Tmax, and AUC. Please click it to download it. 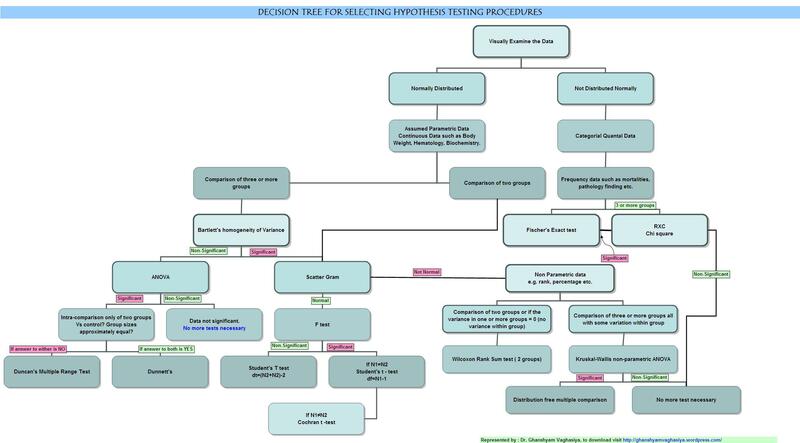 It is tricky and tough to select the proper statistical test for the experimental data derived from different groups and different phases of the study. I found one decision tree for this from one book. I have represented it for better understanding and ready reference use. Click it to open it. To svae it, right click on image and then save a copy for your reference.